Howdy Tribe! 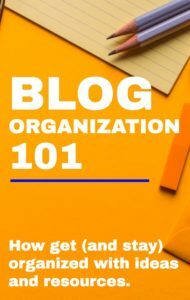 This post on blog organization was written by Misty from Simply Organized Lifestyle, where she helps people like me (and probably you) get organized and get productive. I’ve also added my own notes at the bottom. Enjoy! That means you end up with a lot of resources and ideas! Ideas on post-it notes, in notebooks and, yes, probably even on a piece of toilet paper! Time to blog. Yay, I made an outline of a post the other day while waiting at the doctor’s office. Did I put those notes in my planner? (Look in planner.) No, I only had my phone at the time. (Go to phone) Now, did I draft that on a sticky note or did I put it in Drive? Ugh. My corner of the web is named and devoted to a simple organized lifestyle, but I was failing to take my own advice when it came to the blog! My resources and ideas were getting out – of – control! Maybe you can relate. Side note and word of caution to new bloggers: A big mistake I made as a blogger in the first year was prioritizing learning over doing. It pains me to say that as an educator and someone who loves being a student, but I was caught in a learning cycle instead of a taking action cycle. Yes to learning, yes to growing, but YES to DOING! Pick your resources carefully and take action! I needed a system, desperately, to maximize my blogging time (around my full time job.) A system so that I was not always trying to do a job with misplaced tools. After some trial and error, I came up with a way to organize blog resources and ideas and that’s what I’m sharing with you. I have a designated blog planning space. It consists of a small writing desk and some hanging organizers on the wall behind it in our bedroom. It’s my go-to spot for staying on track with short and long term blog goals. Bloggers know how important it is to reach his or her avatar, or the person they are writing to. This keeps you focused on writing content that helps this person in the goals they are trying to reach. “Meet Amanda. She is 32 years old, married and has two young kids. She works outside of home and feels overwhelmed with demands of home and work. She cooks simple meals or gets takeout. She wants to get out of debt to have more options and freedom with work obligations. She likes to put systems in place to simplify things at home… and so forth. It helps me keep focused on content to help my readers who are similar to Amanda! Up until just a few weeks ago, I was sitting down to work on the blog and found myself staring at the computer, then at Facebook pictures, then clicking on a trending Twitter hashtag, etc. This led to scrambling to fill my Tailwind que, writing posts at the last minute, throwing images together… all leading to mediocre work at best. My daily folders contain daily tasks broken down so that I have direction for what tasks I need to do each day (I work full time outside of home) and on the weekends. On a small card, I have my “why” printed out. Mine says, “Financial Freedom… Change Your Legacy” That’s my “why” because of the kind of impact it will have on my family and our future. The blog is a part of that journey. What’s your “why?” Keep it front and center where you work because you probably don’t need me to tell you that this blogging is hard. Monetizing a blog is even harder. Possible? Yes! Easy? No. My editorial calendar is SIMPLE. It’s a dollar store calendar with small sticky notes that I can move around as ideas change. It’s essentially a draft of a headline of whatever topic I’m writing about that week (I post once a week). Having an editorial calendar is like having a planned out menu (isn’t it nice when you know what you’re having for dinner, what you need, and when you’ll have it?) The editorial calendar lets you make decisions in advance so that you gain back time and have a “planned out menu” to reduce frustration and squirrel chasing! I keep a one page reference sheet of things I need to remember to do after every post. This is different for everyone depending on your publishing system but usually includes tasks like adding an image with alt text, adding affiliate links, formatting, etc. I think it was Nick Loper who talked once about keeping all of the steps of the Podcast process in his head, which inevitably led to missing a step. He decided to take the time to do a simple process checklist and said he wished he had done that in the first place. It saves time in the long run! This is a space for things that I keep up with on a monthly basis like blog and social media stats. To hold caffeine :] Lots and lots of caffeine. 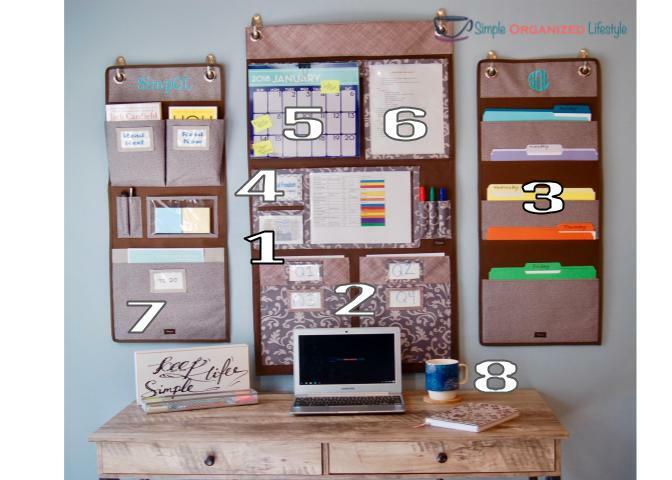 I use a hanging file folder caddy for things I come across that I want to keep handy for frequent reference. They are usually a .pdf of something I found really helpful from another blogger, or a print out of a helpful article. 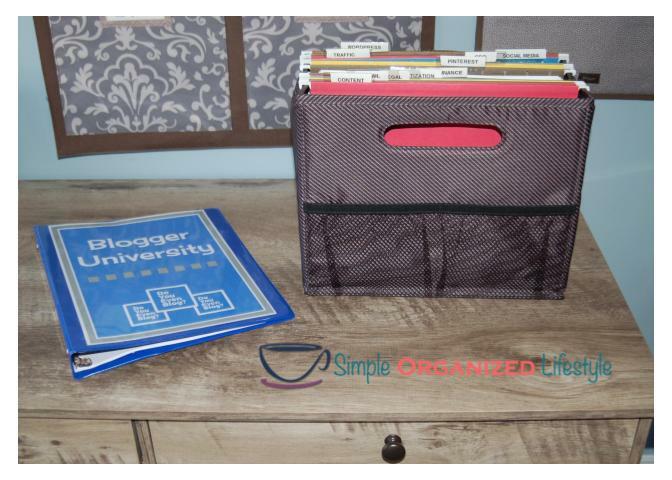 I use a 3 ring binder notebook for whatever current course I’m taking, which right now is Blogger U! It’s not necessarily a printed out copy of the course (way too much paper) but it may be a list of things I want to do from the course, or it could be a section from the course that I want to study more in depth. Once I’m done, these are filed in the hanging file folder. Another benefit of the binder is that it’s easily portable if I want to work in a different place in the house or at a coffee shop! I keep a journal or notebook just for blogging ideas and the key here is ONE journal. My ideas were ending up everywhere… now, even if I collect them in random places (see next bullet point), they end up in one journal. Sometimes an idea strikes in the most inconvenient places… the car, at work, in the dentist office, etc. My solution for this are super cheap small notepads that I put everywhere, my purse, the car, everywhere. Then, I tear it out and write the idea into my main journal. This solved a major problem! Those are the tools I use to organize hard copies of blog ideas and resources. Whew! We didn’t even get into digital organization of blog ideas and resources. That comes down to a lot of personal preference. Some people like Trello, Evernote, Dropbox, todoist, bullet journals… and there’s a multitude of other options. I use Google Drive for everything, seriously everything. I’m going to give you a screenshot of my folders within Google Drive then Pete is going to add a few notes about his favorite digital organization tools. First, I definitely use Google Drive as my go-to for online storage, especially folders where I’ll need to share stuff with other people (I prefer it over Dropbox). 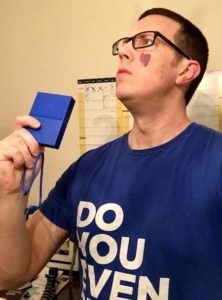 Last, I completely LIVE off of my two external hard drives, named BananaStand and Tobias Blueth. Not joking. Tobias is a 3TB WD external hard drive that I use to backup EVERYTHING. So much storage for podcasts, video, everything. BananaStand is a Samsung 250GB external SSD. It’s lightning fast, and is what I use every single hour I’m on my computer. I have a strict organized folder system for DYEB, with separate folders for Podcasts (with separate folders for every single episode with audio files, share images, etc), YouTube, Content Upgrades, and Random stuff. As I do very little with paper, it’s VITAL for me to have a highly structured and organized file system for my beautiful external drives. I love you BananaStand and Tobias! What matters most is you realize where your pain points are when it comes to organizing blog ideas and resources, then put a system in place to make it better. Rinse and repeat with a different area. Then, in the meantime, keep taking action and growing those amazing blogs into the best online spaces they were meant to be! 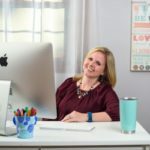 Misty is the blogger behind Simple Organized Lifestyle, a space built to provide “Helpful Tips for Abundant Living.” Check out her editable planning pages and goal setting templates in her resource library! Thanks for the tips. Really need to work on this. Organization is definitely a major key to success. I’m going to look into those external drives you mentioned. I see the need for the big 3 TB one for storage. What do you specifically use “BananaStand” for? Bananastand is where I store stuff that I use every day, naming podcasting and video files–as well as general images/graphics/logos/pictures I use repeatedly. I don’t store ANYTHING on my computer and instead, rely on it and my iCloud storage for day-to-day stuff.